Enshrine your memories or create the perfect gift for friends and family. We pick the best DIY photo book service available today. Online photo printing has disrupted the photography business, and now you can create your own custom photo book that will look at home on any coffee table. Before, you’d have to bring your film or SD card to a studio to turn your photos into a professional-looking photo book. But now you can upload photos to a website, design the book yourself, and receive a beautiful product in a week or even days later. Photo book services offer DIY customizations, and you can spend hours putting together and decorating your book to create a truly unique product—whether it’s for your own home or as a gift for a friend. The first batch of five photo books we reviewed. There are a slew of cloud-based services vying to help you create (and print!) your next photo book, with new services cropping up every year. So PCWorld made photo books from some of the most popular web-based services. Our project’s theme? 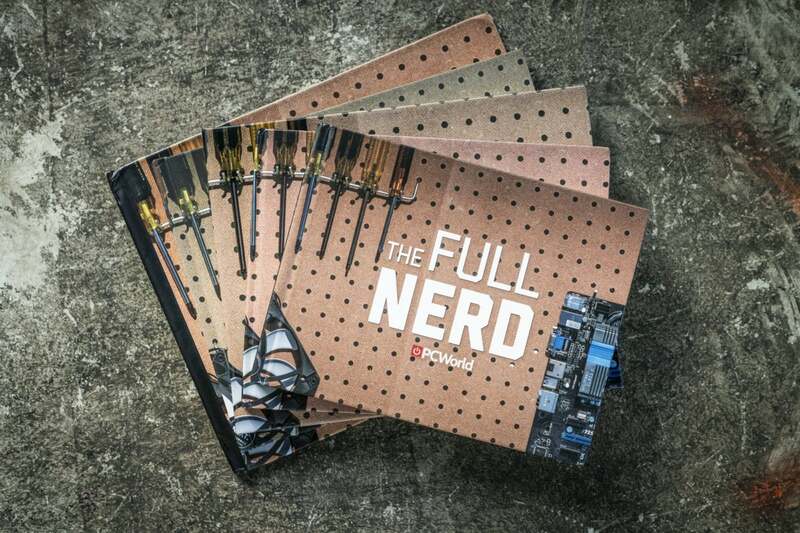 A 2018 yearbook of PCWorld’s “The Full Nerd” YouTube show. Here are some of the best photo book services you can find. PCWorld used the same set of photos when reviewing all of the photo book services. We even did our best to create the exact same layouts for all the books in this round-up. That said, there were variations among all the photo books, as design options varied from service to service. Moreover, some services forced us to resize images differently to suit their own resolution requirements. Sizes and styles: What were the options for book sizes and styles? Was there a good selection of book dimensions, and did the service include page stock and binding options, such as silk and lay flat? Book editor: This is a critical area, as some book creation tools are easy to use, while others can be extremely frustrating. So we looked at ease of use; the speed at which the editor refreshed; and what kind of features—like in-app photo editing, clip art and templates, and novel image cut-outs—the editor offered. Photo book and print quality: We scrutinized the quality of the photo book, including its pages, spine, and cover. But above all else, we looked at basic image reproduction, and whether the print retained resolution and color accuracy. Pricing: We compared the pricing of the service to the others we reviewed. PCWorld is continuously evaluating new photo book services. You can find our individual reviews of each service we’ve reviewed so far below. Frustrating web editor needs revamping. Text didn't fully print on the page even though it was correctly placed. Unremovable barcode is printed on outer and inner back cover. Costs $10 to remove the Shutterfly logo.